We’ve got ‘songs of the sauce’, so to speak. 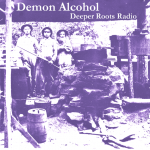 Our show will feature a century of America’s music with stories of moonshine, rye whiskey, bubbles in the beer, bartenders, and hangovers going as far back as 1928. But we’ve also got a Bob Wills tribute piece from a new Asleep at the Wheel release, indie rockabilly from new Austinians Tammy Lynn & Myles High, R&B truckers The Harlem Hamfats, and local favorite David Luning. Join Dave Stroud for another two hours of a century of America’s Music on KWTF, member-supported community radio for Bodega Bay and all of Sonoma County. “A Dime Looks Like a Wagon Wheel”….a phrase that was used to indicate how fortunate you felt when just a little seemed so big when you had so little to start with. 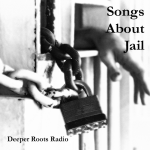 Old timey music, some sweet R&B from Sam Cooke, country styles from Johnny Cash and Hank Thompson, folk and blues from Dave Van Ronk, Woody Guthrie, and Peter Rowan….and newer sounds from The Far West, Steep Canyon Rangers, and Howell Devine. 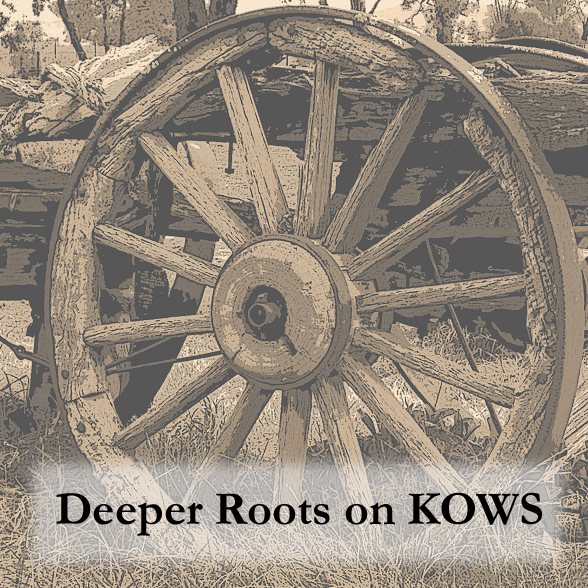 Two hours of Deeper Roots looks like that same wagon wheel…it goes by fast and we’ll have the very best of American roots music from the past century Saturday morning at 9am on KOWS. 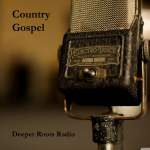 We’ve got a show jam-packed with gospel sounds set against a backdrop of fiery fields, unclouded days, and great speckled birds. 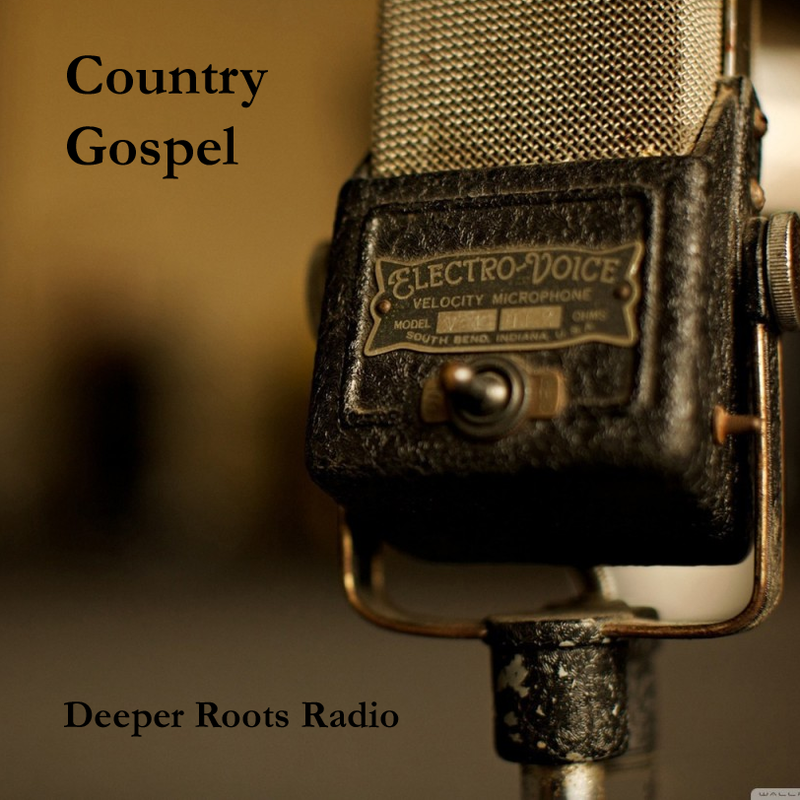 Join us on our regular two hour Friday night show on KWTF as we take a trip down the country gospel highway, celebrating a style of music that was mostly inspired by the memories of ‘back home’ and the church, where a lot of our performers were first introduced to music. We’ll share that old time religion in spiritual and song from deep in the heartland. 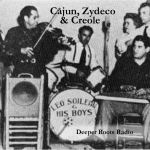 We open with some of the classic old time gospel sounds of The Carter Family and J. E. Mainer’s Mountaineer then go flying down heaven’s railway on the Gospel Cannonball while Johnny Cash, The Louvin Brothers, T. Texas Tyler, Hank Williams, and Kitty Wells will be preaching on that old country gospel stage alongside bluegrass gospel favorites from mid-century.And we’ll also hear a couple of new tracks from Marty Stuart and His Fabulous Superlatives. Second Saturday on KOWS…that means a vintage blend of Deeper Roots. 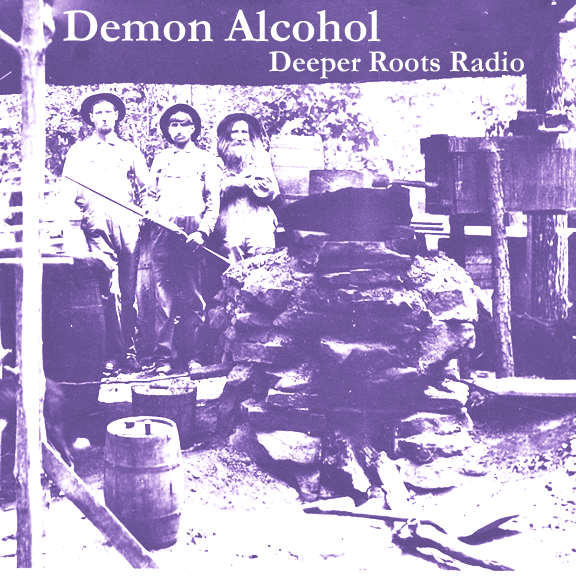 Our show opens with some contemporary bluegrass and gets right down to business with some country gospel and blues with an opening admonition from Sister Aimee Semple McPherson punctuated with songs of drinking and old time religion. From there we move on to the jazz sounds of Fats Waller and a run of mid-to-late century country featuring Patsy Cline, Willie Nelson, and the sass of Johnny Cash and June Carter Cash. It’s another beautiful spring morning in the small West Sonoma County hamlet of Occidental…nestled in the woods along the Bohemian Highway and celebrated from the studios of KOWS Community Radio. 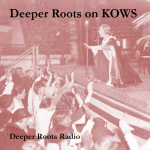 It’s theme time once again on Deeper Roots. We’ve got songs that explore the topic of jails, prisons, work farms, and the incarcerated. There we find the overnighters, the vagabonds, the jealous lovers, the desperate thieves, and the stories of ladies and gentlemen on both sides of the bars. 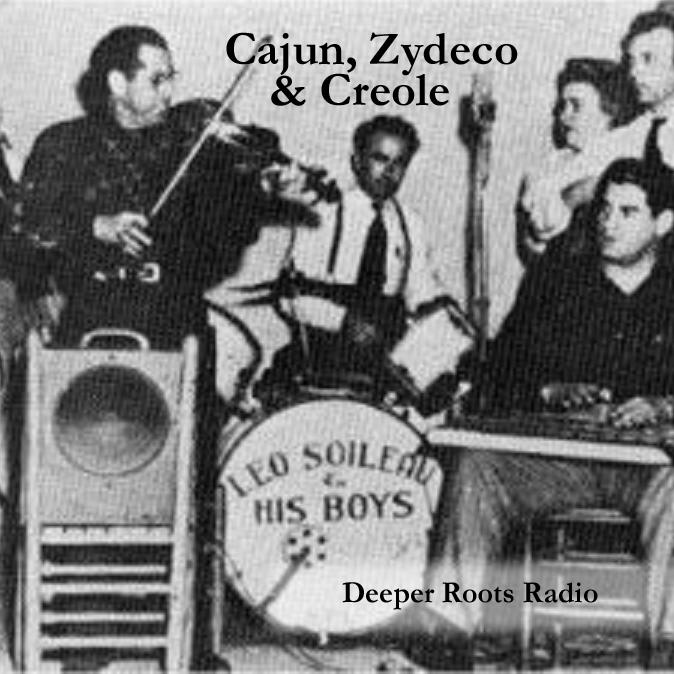 There will be old-timey cowboy classics from Vernon Dalhart and Carl T. Sprague, modern covers by David Johansen and The Byrds, blues from Lightnin’ Hopkins and Blind Boy Fuller, and a whole lot more. 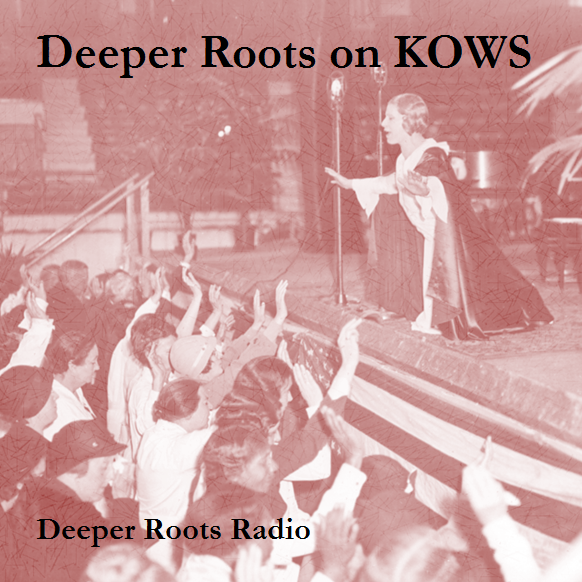 Join us for the stories of the songs and performers this week on Deeper Roots.